What you don’t know about the development of your end time understanding and how it’s a trap. Your forefathers paved the way for the coming deception that you will face, but you will be given a chance to choose right where they chose wrong. Most protestants agreed at one point that the institution of the papacy was the Antichrist who would sit in God’s temple showing himself as a God or judge. (2.Thess.2,4). Please see video below for quotes from historical people to get this confirmed. This understanding was a wake-up call to many Christians and many left the Catholic Church to join the reform movement. They realized they had been fooled by a false gospel and a counterfeit Christianity and that the Pope himself was the man of sin. However, in the 16th century, the Jesuit order was formed by the Catholic Church mostly to counter the ongoing progress of the Protestant churches. As no protestant would listen to what the Church had to say anymore, the main goal was to come up with an alternative belief to who the Antichrist was and move it away from the Papacy and to an unknown figure in the future. They had to create a new common enemy. Then they had to infiltrate this idea into Protestantism and make them think it was their own idea and understanding. When this had been accomplished the gap between them would be small enough to pull the Protestants towards submission to the Catholic Church once again. The idea they presented was that the temple wasn’t Gods congregation or the individual believer like Paul said (1Co,3:16, 1Co,6:19, 2Co,6:16) but a physical building. Not just any physical building but the Jewish Temple itself. And that Antichrist would sit in this temple. Since there was no temple it had to talk about some distant future. In this way they could slowly bring Protestantism back to themselves under the guise they are all Christians with a common enemy, this future mystic person. Secondly, they could bring the matter from being about obedience to God as only lawgiver (God dwelled over His law in His temple) to something diffuse. The Papacy had changed God’s law and claimed they could do with God’s law as they wanted. But attention was taken away from these crimes. The Vatican was Satans hand in motion. In Revelation 13 (Yes your forefathers believed this was speaking of the Papacy) we learn that the Papal beast is just doing the dragons agenda: «the dragon gave him his power, and his seat, and great authority.» v.2 In the verses before we learn what and who the target is: “And the dragon was wroth with the woman, and went to make war with the remnant of her seed, which keeps the commandments of God, and have the testimony of Jesus Christ.” (Rev 12:17) The devils’ target was they who believed in Jesus and who kept God’s law. The devil was trying to destroy commandment keeping Christians. And he was now using the Catholic Church (the beast out of the sea) to continue this agenda. The best way to do this was to create an alternative Christianity and then call the real followers the false one. Do you remember the Pharisees and Scribes calling Christ work the work of Beelzebub and said he was working with demons? (Matt.12,24) How could they have ended up viewing the power of God as a deception of the devil? The devil had snuck in a wrong understanding of Christ first coming. He had made it into a political matter rather a matter of obedience to God. He had fooled them into thinking different circumstances would take place than those that actually took place. The devil is using the same tactic in order for Christians to reject Gods last warning before Jesus second coming. They had corrupted God’s word and law in such a way that they no longer recognized the word made flesh. (John.1,1-5) If they had not added and diminished God’s law they would have recognized Christ as God’s heavenly sent messenger and the people would have exposed the leaders’ falsehood. They had been previously taught to measure any message or messenger with the law (Isa.8,20). They would have had their false understanding of Messiah corrected if they had understood God’s word correctly. They would have known that God could not and would not create a Jewish kingdom with Messiah as king if they as a people weren’t pure of heart in in harmony with God’s ways. (Deut. ch.28 & 29)The idea itself was against the law they had been given. Messiah’s mission had to be restoring His kingdom in their hearts a work Christ was trying to do. 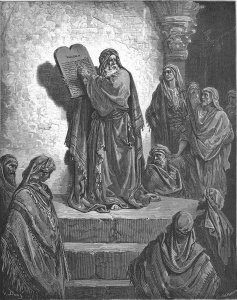 (Luk.17,20-21) But their leaders’ word and interpretation were placed in higher regard than the prophecies and laws themselves. They believed they were elected and were to be made an independent kingdom by relying on their genetic inheritance. In order to help them receive Jesus as Messiah, God sent them John to forewarn them that it was not about genetics but about the heart. (Mat,3:9) This was done in an attempt to help them from being deceived by the devil about the coming kingdom. It is a similar situation that the Protestant movement is about to face. The same deception. The papacy hadn’t lost control completely. The Protestant churches still followed a lot of their teachings and doctrines and even continued to keep their changed version of God’s law rather the one found in the Bible. The Church tradition still had a saying over the Bible in the Protestant movement. But the gap created by understanding the Papacy to be the Antichrist was the high priority to remove. In 1585 Jesuit Francisco Ribera and Robert Bellarmine started writing down these ideas of the future Antichrist and that the papacy was the wrong person. Slowly the ideas were planted among the Protestants, but not really received. The understanding that the Papacy was the Antichrist and would lead people into false Christianity and damnation, had deep roots. The Jesuit ideas was slowly spread quietly. In 1744 Morgon Edwards shared similar thoughts with a Baptist college creating more interested in the alternative future antichrist. In 1791 – Manuel De Lacunza (1731–1801), a Jesuit from Chile, wrote a manuscript in Spanish titled under the pen name of Juan Josafa [Rabbi] Ben-Ezra. Lacunza wrote under a Jewish name to hide the fact that he was a Catholic. The idea was that the Jewish name would give his book better acceptance in Protestantism, his intended audience. He was also giving this futuristic interpretation in his book. The idea became more and more accepted, but only by a smaller protestant minority. But there were some problems with this theory. There was no Jewish state and no Jewish temple. It made the idea seem unlikely and distant. This was one of the biggest problems when introducing this idea. In order to have an Antichrist in a physical Jewish temple, the temple had to be rebuilt and in order for the temple to be rebuilt, Jerusalem would have to be a Jewish state. The first attempt to point out an Antichrist was to divert it from the papacy and to a Jew. If the jews created a state in Jerusalem the Protestants would be convinced the doctrine was correct and completely abandon the Pope as the Antichrist and look for this mystic one to come. But Jerusalem was protected by the Turks. Their mosques were on the site of the temple. The real brain behind the Jesuit movement was the devil and he had many other agencies to do his bidding. 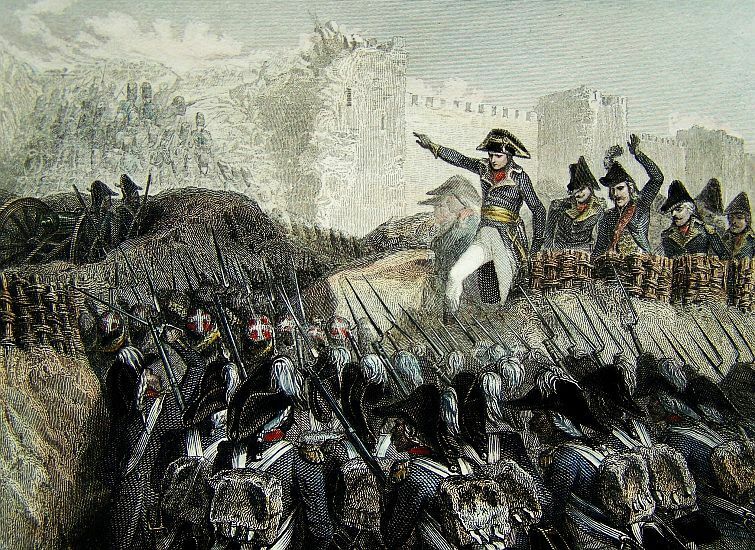 The Ottoman Empire had come in great fury and won over Napoleon at Acre and took Jerusalem to protect and control it. The plans of Napoleon was destroyed. And the temple mount remained a place for muslim worship. 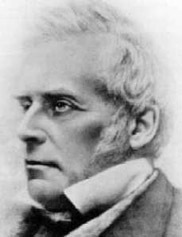 And in 1827 Edward Irving, a Scottish Presbyterian and forerunner of the Pentecostal and Charismatic movements, translated Lacunza’s (the Jesuit pretending to be a Jew) work from Spanish into English. In 1830, John Nelson Darby presented even further speculation and theories concerning this same topic backing up the others view. If the Jews were to come back, it would have to be because God gave them the land, but they hadn’t met God’s criteria and didn’t seem to want to and so the theory that there was one salvation for Jews and another for Christians was created to make all of this make sense. Before there had only been one salvation and one destiny no matter who you were. (Col.3:11; Gal.3:28; Rom.10:12) Now, this view was changed. The idea that Jews would get their messianic experience and a second chance after a rapture of Christians were introduced. With this theory people would accept the Jews returning even though they hadn’t accepted Christ as the Messiah. Jews would get the land back even though they hadn’t accepted Christ as their election were by flesh and not by faith. God’s people were those who did God’s will but those who were born that way. The hypocrisy of the theory was evident as many of Jewish descent were no longer Jewish and a large number of Muslim were converted Jews. And to it wasn’t about being Jewish decent it was about being Jewish decent rejecting Christ, as not interest was given Jews with other ideologies. When you start a series of lies, it becomes a web of lies with holes and inconsistency. (To see what the Bible actually teaches about the matter see this article: “Who are God’s people”) . The doctrine was becoming complicated but larger groups now believed it. Scriptures from the Bible used about the return of Israel from Babylon was now used on a future gathering. Or scriptures referring to Christ second coming. Scriptures the Bible had about Jewish being God’s people were no longer tied to converted Jews but to the unconverted. In other words, in order to be accepted and blessed, you had to be a Jew who denied Christ as the Messiah. The ideas were more and more widespread and bible verses were picked and put together with no respect for other scripture saying something different, and they were placed together to make it all seem Biblical. The more widespread the idea got, the more they realized that in order for Jesus to come back they had to have a Jewish state. Jesus had said that He would come back when the gospel had been spread to the world: “And this gospel of the kingdom shall be preached in all the world for a witness unto all nations; and then shall the end come.» (Mat 24:14) Yet now another stone had been placed in the way in the evangelicals understanding. A Jewish state had to be made in order for the end time events as they saw it, could happen and Jesus come. But nothing seemed to happen to make it happen, and the Jews themselves seemed to want to wait until their Messiah come to do it. The Christians then took it upon themselves to fulfill what they believed was a prophecy. The problem with protestants actively wanting to fulfill their perception of the prophecy was crazy as they needed a Jewish state for there to be a Jewish temple so that Antichrist could come and sit in it and deceive the whole world. Why would Christian engage in making the way for what they believed was the end time deceiver? Were they now preparing the way for the antichrist? New theories were added to the theory to justify it: Jesus was to rule in Jerusalem with the Jews, and the Christians were to be raptured to heaven before the end time troubble began. And the theory of the pre-tribulation rapture began to make this complicated end time understanding fit with the Bible. But either way they needed a Jewish state, and so now they were gathering them for Christ sake so He could make their kingdom with them and not to make their Antichrist understanding plausible. Their actions now seemed a little bit more legit. Another problem came up with this theory. Many evangelicals now believed that same wrong understanding that the Jews had believed which once made them unprepared for the first coming of the Messiah. Now they believed what the Jews believed then and still do. Only the Christians needed the Antichrist first and so they could not wait for Jesus to establish the Jewish state, they wanted to help make it happen. While the Jews, in reality, wanted to wait as they did not believe in an Antichrist coming first. But the devil had a plan with it all. The wrong understanding would help his deception. Many Christians was again doing what the Jews in the time of Christ had done, turn it from spiritual obedience to a physical kingdom and this would carve the way for them to reject Christ end time message when it was to be proclaimed. Not to just reject it, but to believe that it was from the Antichrist himself. But let us continue and see the development of this deception. Protestants and evangelicals started sending Jews to what was then known as Palestine that once had been the Jewish state in Biblical times. Christian missionaries went to Palestine often even endangering their own life trying to convert Jews or help them understand their role in the end time. “Dined with Palmerston. After dinner left alone with him. Propounded my scheme, which seemed to strike his fancy . . . . Palmerston has already been chosen by God to be an instrument of good to His ancient people; to do homage, as it were, to their inheritance, and to recognise their rights without believing their destiny . . . . I am forced to argue politically, financially, commercially; these considerations strike him home; he weeps not like his Master over Jerusalem, nor prays that now, at last, she may put on her beautiful garments. 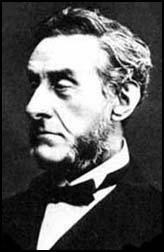 (Anthony Ashley, Earl of Shaftesbury, Diary entries, quoted in Edwin Hodder, The Life and Work of the Seventh Earl of Shaftesbury, vol. 1, pp. 310, 311. Ashley was the one referred to, but not named (in London Times, Aug. 17, 1840, p. 3, col. 5), as the promoter of western-sponsored Jewish migration to Palestine. But Ashley’s dream of a British-sponsored and treaty-protected Jewish migration to Palestine did not materialize. The four-power treaty of 1840 ignored the matter. Even the Jews themselves showed little interest; more than half a century passed before Zionism arose. Still, the majority protestant movement continued to hold fast to the belief they had on the Antichrist, and that it was actually the institution of Papacy who was claiming to be God’s throne on earth. All the great Christian leaders in the US still upheld this belief and was struggling against the Jesuits infiltrating their institutions. However they most likely didn’t understand the agenda behind their teachings. It was as if God protected them from the lies of the true Antichrist and the devil. But something would happen that were to take away Gods protection against this lie. The Christian movement was to resemblance Israel in their time. Just like Israel had ended up ignorant and in many ways corrupted during their stay in Egypt, their will to serve God and learn was there. God saved them from Egypt and all their enemies before they had even been re-introduced and instructed in God’s laws. (Before Sinai: Ex.16,28) God protects the willing of heart even if they are ignorant to His will. He protects them until they know and understand the truth and then rejects it. This is what happened to the Protestant movement. When they understood they had been corrupted and spiritual subdued by the Papal power they had their exodus and God was with them. But when God later would continue to educate them the churches split, some would not be educated and be obedient to God. When they made this decision after having been enlightened, the protective wall around them was removed and the devil could move in and do his agenda. The same happened after Israel’s exit from Babylon. When they returned they received God’s instruction. They started rebuilding God’s temple but was still unlearned. Then Ezra was sent to them to teach them about God’s laws and ways. When they had listened to Ezra and received God’s word, God sent them Nehemiah to rebuild the walls around Jerusalem. This symbolized that when they were obedient God would protect them. The walls had once been torn down because of their disobedience, now they were re-built because of their obedience. God places a criterion to protect His people. “Like a city that is broken into and without walls, so is a man who has no control over his spirit.” (Proverbs 25.28) See also Ezekiel 13. The New Jerusalem will also have walls, not because they need protection for the enemy has been conquered. But because walls are a symbol of God’s protection and care. (Rev.21,12) It was the protective spiritual wall that God had compassed the protestants, that had preserved them from being caught up in the Devils’ end time deception. So what happened that removed this protectiont? God had longed helped the reformation movement step by step ridding themselves of the remains of the papal lies that were a part of their religious practice. As they got more light from scripture they subsequently removed a lot of superstition and rituals that had nothing to do with God. But along the way, there was always a group that refused to reform the next step. Leaving the Protestant movement in many stages from some churches having almost the same belief as Catholicism to groups going all the way back to the Biblical doctrines. But one step remained. Protestants still kept the law that the Pope had changed, and they valued this law more than God’s original law. They didn’t obey God before man and tradition. This was the major step that had to be taken in order for God to prepare them for the end time events. Just like John the Baptist had taught Israel this before Christ first coming, God was trying to send the same message to prepare His people for His second coming. 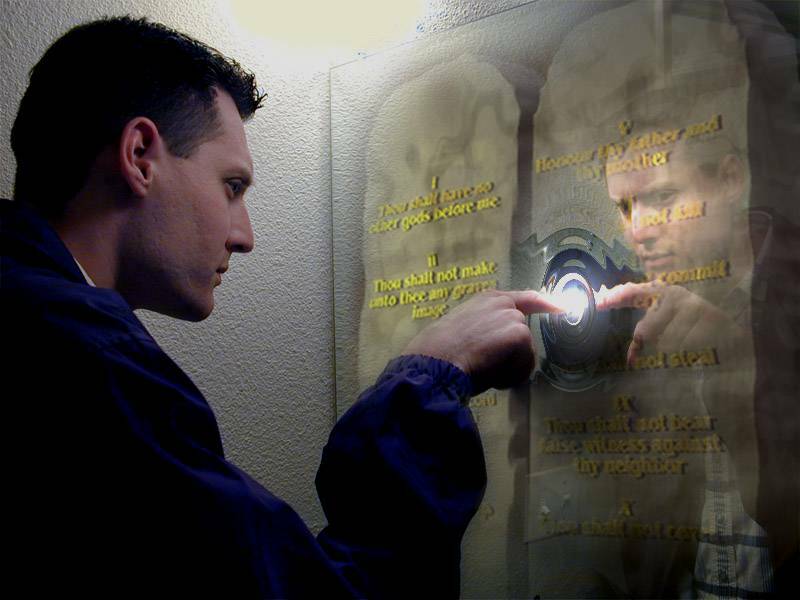 Obedience to God’s law was in the Bible always what either made or broke His people (Read all the books in the Bible). It was even the condition for the outpouring of the spirit. (Act, 5:32; Joh 14:15-17) God wanted to take the protestant movement away from the arrogant presumption of the Antichrist power that said they could be in favor with God even when opposing His law, that they could change it as they saw fit, that they were their own lawgivers as they were God’s throne on earth. What the Bible calls the mystery of lawlessness, also translated into Iniquity is from the Greek word ἀνομία (anomia) which literally means ’violation of the law’ or to be without the law. Iniquity and opposing God’s law is the same thing in the Bible. But the remnant protestant movement had long been deceived by the papacy and they were just starting to understand how much. God had great care and patience helping them reform gradually so that it wouldn’t be too hard for them. It was a gradually cleansing process and God is merciful and patient understanding how much emotions and feelings people have tied to traditions. Traditions are what glues families and societies together, and breaking them causes great conflict and distress. And God wanted to do it step by step. But the time had come. The Protestants were losing their glow and becoming worldly. God needed to shake them up and reform them back to His govern and His law. 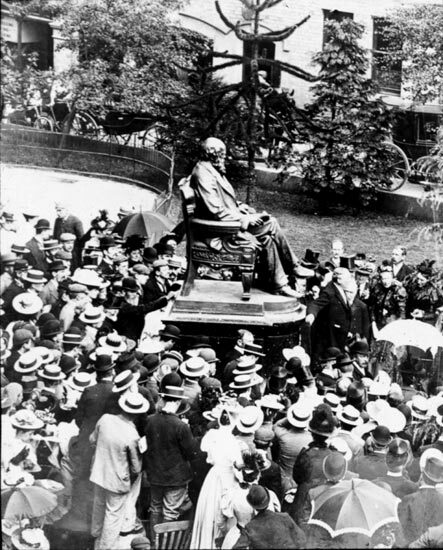 In the mid 19th century another protestant movement awoke thinking Christ second coming was close at hand. Dates were set and although the Bible clearly states dates can’t be set, God had an opportunity to teach people from scripture as many were reaching out to their Bibles and actually studying. They quickly realized that no date could be set yet discovered another unsettling thing. Why were they still keeping doctrines from the Church and regarding them over the Bible? And they started to preach that as long as protestants kept the papal changed version of Gods law they were accepting the authority of the Pope as God’s mediator on earth. Rejecting him as mediator meant rejecting these changes and going back to God’s original law. Either the Papacy held the position as God’s trone on earth or they were deceivers. They remnant group proclaimed that protestants needed to follow Christ, our High Priest, into the Most Holy place and see how the law there still had relevance. They sent people all over the world with the message to Christians to return to God’s original law, they enlightened people on the changes that had been made. The majority of Protestants rejected this message and refused to go back to God’s original law. They saw God in the traditions rather in the Word. Yet their work was not in vain and today 20 million christians around the world have gone back to God’s original law. But now the majority of Protestants were teaching that you could not worship Christ and keep the original law at the same time. This was a new turn in events for evangelicals. Until then they had respected God’s law when they thought it was the original that they were keeping. They had even defended it. But when they learned the law was altered and corrupted by man they started finding an ideology that put God up against His own law. It was clear from this moment that the devil, that old serpent, had in full been given access to the pulpits. The deception had started with the serpent fooling Eve to think she would be blessed by going against God’s command and here the same message was repeated, Salvation and blessings to those keeping traditions and the changed law and Gods curses to those keeping God’s original law. Understand it those who can, but the Protestant world was completely fooled. Even the thought of God’s original laws seemed to scare them. They called it legalistic to keep God’s law but good moral to keep their own version. The image of an upset and crying Jesus, or them crucifying Christ, came before them as their crime if they accepted God’s original law as valid. Every scripture proving this to be an utter lie, as Jesus even asked His followers to be obedient to His commandments, was explained away. But the word was clear: «And hereby we do know that we know him, if we keep his commandments. He that saith, I know him, and keepeth not his commandments, is a liar, and the truth is not in him.» (1Jn 2:3-4) The many scriptures exposing the lie of lawlessness/iniquity was so solid that they were left with only Paul’s writings to defend their view. Paul spoke against the Jewish sacrificial system as a means to atone sin in competition to Christ cross, he never spoke against Gods moral laws and the laws that were to bond Him with His people. For as long as Paul lived the temple service in Jerusalem continued and was a contender to faith in Christ sacrifice. When the temple was destroyed new understandings of Paul’s words seemed valid. Even a warning against misunderstanding Paul is given in the Bible by the apostle Peter. (2.Pet.3,14-18). God saw the future and left a warning. The only author of the Bible whom the Bible itself warns against misunderstanding was made as the sole base of the new understanding that said man had not sinned when they broke God’s law as they were not obligated to keep it. But God doesn’t change. God had been patient. For almost 500 years God had through His servants provided Bibles in peoples own languages. Many had been martyred for spreading them. It was not in vain as the end result was that everyone got the chance to have their own Bible in their own language. God had risen up leaders to reform them step by step and give them the knowledge needed to make the right decision. Now they had been shown their obligation to God’s law and order and willingly chosen opposition. Always when this has happened in the past, God has withdrawn His protection. Surely enough this is what happened next. After being mostly protected from this Jesuit-created end time understanding it was now about to enter the churches at full speed. The devil had taken control. He had successfully made a large part of the protestant and evangelicals reject God’s authority in favor of man’s idea and traditions. Now he had to preserve them in the deception until it was too late for them to be saved. Triumphally destroying the same people that God so eagerly had tried to save. At the same time, those preaching they needed to keep God’s law and original Sabbath was proclaiming this message to the world. But they got a new competition set in by the devil. At the same time as they proclaimed: “Fear God, and give glory to him; for the hour of his judgment is come: and worship him that made heaven, and earth, and the sea, and the fountains of waters.” (Rev.14,12) Darwin had started his publications. The first angel of revelation 14 sounded to people to worship God as creator and therefore respect his Sabbath, the fourth commandment. At the same time as they were proclaiming this, the Darwinism and Marxism started their work in convincing people there was either no God or that the creation story in the Bible was wrong and thereby also the premises for keeping Sabbath holy. In 1909 started what would forever determine the Protestant view on end time, and to take it away from their original belief. Cyrus I. Scofield enganged in all these views and it was gathered in the Scofield Reference Bible. 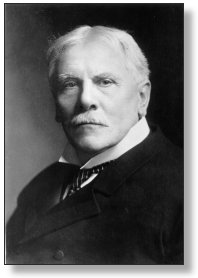 It was largely through the influence of Scofield’s notes that dispensationalism grew in influence among fundamentalist Christians in the United States. Scofield’s notes on the Book of Revelation are a major source for the various timetables, judgments, and plagues elaborated on by popular religious writers such as Hal Lindsey, Edgar C. Whisenant, and Tim LaHaye. Their writings have lead to popular films such as Left Behind. In this ideology, the Christian churches had a new common enemy. The pope was no longer a threat and slowly the hands between Protestant groups and Papacy could meet. They were now Christian brothers. The ideas that had been made up by Jesuits and planted became accepted as end time facts and many have been taught in this understanding from early on. The papacy had successfully reversed the protestant movement back to themselves enough for them no longer to be threatened by them. The fight for a Jewish state or to get Jews to go to Palestine continued. If this didn’t happen the theory would eventually be rejected. Did it happen tho, they would all see it as evidence that their interpretation was true and even more would believe it. Maybe even God’s Christian commandment-keeping people would give up and follow. The Ottoman stronghold had been weakened and Jerusalem was now under the control of the British mandate, a Christian protestant nation. The Devils’ plan was not over. He knew something the Catholic church and the Protestant movement didn’t. In order to make God’s future message fail, God secret end time proclamation, he had to continue setting up the false end time scenes that he had planted among Protestants and even Catholics. Although he didn’t know Gods future plans fully he had a partial idea of what God would do. But in other parts, the devil was shooting arrows in the dark. The devils best attempt was to make salvation into a matter that had nothing to do with turning from sin and disobedience. To give both Jews and Christians a false sense of security. If it was political or physical genetics before the law in the heart, he could accomplish this. Because the Jews weren’t fighting to get their own state and happy to wait until Messiah came, they had to be pushed in order to do the end time agenda. In order to get the Jews to Palestine the Jews had to be under attack, they were mostly living and thriving in Europe and USA. Slowly the devil stirred up hate and superstition towards the Jews. It was easy as Jews had often been mistreated by Christians in Europe for centuries. It was important to keep Christians and Jews separated in order for Christians not to see that they were following a corrupted Christianity, as Jews upheld a lot of knowledge from the Bible, and to keep Jews from Christians so they didn’t receive Jesus as their Messiah. Because the truth was somewhere in the middle of the two beliefs systems, the devil had to make them opposites to keep them from learning from each other. The devil had long stirred hate between them, when the Jews outnumbered the Christians they persecuted them and later when Christianity became strong in Europe, Jews were persecuted by them. Church councils in the 4th century forbade Christians to take part in Jewish feasts or even forbade Sabbath keeping. Seeing how Christians fought against God’s law Jews were strengthened in the view that Christianity was a deception. Christians viewed the stubbornness of Jews not accepting Jesus as a sign that they were deceived. They had long set the two up against each other. In the early 20th century it was fairly easy to fire people up against the Jews. Sanctions after sanctions were made against them, they were left in despair and their shops and synagogues were vandalized. Adolf Hitler was born Catholic and later had his confirmation in the church. Yet being brought up with a Catholic mentality he also had his own ideas. He also is said to have had great admiration for the Jesuit organization structure and been inspired by it (3 footnote). Hitler did, however, try to obstruct a version of Christianity that was in-between Catholicism and Protestantism. The main belief was that the Old Testament was to be disregarded along with its laws and teachings. Again a mixture Christianity religion rejecting God’s law. His ties to the Church were although several. 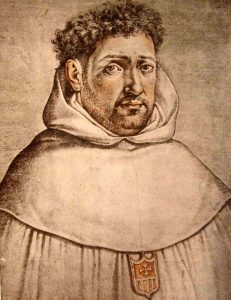 His background, although rejecting much of Christian belief, bear the similar trades of early Catholicism which also despised Judaism and wanted to break its ties to Christianity. It was this early work of seperating judaic roots from christianity that laid the ground for the Popes Christian religion in Europe. Hitler continued this agenda by showing the same principles while also promoting the ideas of evolution and atheism. The Catholic church has had the custom to do thoroughly historical falsification. That included on making great spiritual leaders seemed Catholics after their death, even though they hadn’t been. But also to break their ties to unpopular leaders once they had become unpopular. But Hitler’s organization and even bad religious ideas had sprung out from Catholicism. According to M. Frederic Hoffet, Hitler, Goebbels, Himmler and most members of the party’s “old guard” were Catholics” (3 footnote). The effects of Hitler in Germany is shown in numbers. Before Hitler Germany was mostly protestant with 67 % Protestants and 33 % Catholics. Only a few years after under the Nazi party the difference was 54% protestants to 40% Catholics. Today in modern Germany 28.6% belong to the Catholic Church and 26.6% to the Evangelical Church. Catholicism has surpassed Protestantism in the land of Martin Luther. The Jews were under attack by the devil and his workers. The devil hated the Jews because they were witnesses of God’s original unchanged law and because they had once been God’s people. And he knew God still loved them and wanted to reach out to them and that they were even closer to the truth then many Christians were. Now he would use them for his agenda. The Jews didn’t have God’s protection because they had refused to receive the prophets God had sent them and also their own King. (Mat.23,37-39) The Jews no longer had atonement. The devil knew his pray was left without “walls” to protect them. Jews were suffering in Europe and had experienced great trauma. 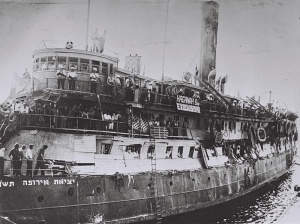 Even before UN gave them land Jews were immigrating to Palestine (Now Israel) This photo shows the boat called SS Exodus carrying over 4000 Jews in 1947. Through the German Socialist Party and Hitler millions of Jews were treated like animals, starved, tortured, experimented on and lastly killed. When the truth came out the world was abhorred. Even among the worst Jew-haters heads were bowed in shame. It didn’t take long before the United Nations was founded and they decided to give the land back to the Jews. Although the threat against them was removed and the need to move wasn’t really there if they could be restored and honored in their European countries, it was decided they were to be given their own land instead. After the traumatic experience during World War, many Jews were happy to move back trying to make a life for themselves away from the cruel hatred they had suffered. Many were running as fast as they could. After all, what had happened in Europe could happen again? The Jews had their common potential enemy: everyone else. Now they would make their fortress in the land that they once were driven from. However, they weren’t given Jerusalem. What the Jews didn’t know is that they had just gone into another trap. The Jews were now attacked by the Islamic countries who for long had controlled the temple mount in Jerusalem where the Jewish temple once stood. God had let the Islamic people to protect the mount from a new temple. Although God permitted the Jews to fight off their enemies He did not allow them to take over the temple mount. Although coming on the mount during the war they were quickly told to leave it a Muslim religious site by their own leaders. Many was distressed and didn’t understand the order. But it was given all the same. God let their decision be their rescue. Had they tried to rebuild the temple God would have had to stop them. But now God permitted them to stay in the land in the hope of reaching out to them once more. However if they were to cross the line and try and re-build the temple God would have to intervene, and it wouldn’t be to their favor. They would not get this area for worship before they recognized Jesus as their King as Jesus had prophesied. For many Christians this was frustrating. They believed Christ could not come unless there was a Jewish temple with an Antichrist in. However, the Devil had not given in. He had two ways he could still deceive the Christian world. He had worked on Catholics and Protestants for a long time to fear the temple furniture and anyone bringing a message from them to be of the Antichrist. They were now ready to reject God’s last message. The devil didn’t need a temple to be built, he could do even worse. He could use what he taught the Protestant world in order to get them to reject the discovery of the Ark of the Covenant and any message coming from it’s hiding place. Puppets used as a distraction and attention getter to confuse Christians away from the real threat. Their bad moral, devil signs and dressing up as ancient goddesses are made so clear that everyone can see. To strengthen the mainstream protestant understanding of end time events the devil would continue to create visible common enemies for the Catholics and Protestants. One was the entertainment industry. His puppets would flash symbols and 666 signs and make it so that even a small child would see the occult in these music videos. Many female stars dress up as ancient goddesses while showing illuminati signs. This would help strengthen the belief in the future Antichrist. It would also help continue to draw Catholics together with Protestants in a joint effort to “protect their traditions” and “moral”. The second was to bring Muslims into Europe and US causing another common enemy pushing the Christian world to unite with the real Antichrist, the papal power. It would be the Christians against Islam and not Christians deceiving Christians. Having assumingly enemies on all ends made them unaware of the danger in their midst. But it was the Christian nations that had initially stirred up the hate in Islamic countries, breaking their infrastructure and supporting rebels. Although many messianic groups would rise and respect God’s law their teachings on the end time events were from the evangelical churches. And messianic communities also helped in sharing these interpretations of the end time. In 1982 Ron Wyatt found the Ark of The Covenant with Christ blood on it. The discovery was proving Christ was the Messiah, that He died for our transgressions against that very law. Meaning if we are to take part in the atoning blood we need to confess breaking this original law is God’s definition of sin. Which in return means that this is the law that we are measured by. But if we refuse to acknowledge that breaking it is a sin, or we think breaking the papal version is sin instead, we are rejecting the Blood of Atonement. Because Christ blood did not go down over the law the pope changed or the ones the protestant advocate. The blood did not go on the command saying Sunday observance, but the one calling for the Biblical Sabbath observance. God’s definition of Sin is revealed in the law the blood went down upon. This is the transgression Christ saved us from and that we need to repent and convert from. This message, that we need to keep the law that is in the foundation of Gods throne, and seek pardon for our resistance towards His original law, is to go out to the whole world as one last message from God. When the ten commandments are shown to the world and they are warned they will be judged by this law if they don’t repent and confess their sins and give them to Jesus, the whole world will for a short time give it attention and evaluate the message. The last plagues coming over the earth is the judgment of the law, that the one on earth is a copy of. (Rev.15,5-8) For a moment it will seem like the whole world will receive this message. Hearts will break over Christ great sacrifice, they briefly comprehend that the original law of God is still valid and what they will be judged by. The majority almost turn from their past understanding. What may be the Devils’ final card is played out. Just like he had prepared the Pharisees and Scribes to reject Christ and having them thinking he was of the devil and calling him Beelzebub, and by giving them a false understanding of Gods mission and the events around Christ coming, he now have prepared the Christian world to do the same. Angels and men will work together in bringing the discovery of the Ark of the Covenant out to the world. The devil will send his angels pretending to be people such as Elijah or the disciples to tell the Christian world that this is the deception they had been warned against. (2Co 11:14-15, Rev.19,20) They might say: “This was the temple Antichrist would fool people from, not a newly built one.” “Here is the temple furniture, here is the Ark. Here is also the Antichrist hiding, sending out his messengers.” That papacy has no other choice, their whole organization will fall apart if people accept this as truth and they will be exposed as liars. The same with Protestant leaders. Just like the leaders in the time of Christ saw all Christ did that revealed His divine origin, they hardened their hearts and decided to go against Him anyway calling Him of the Devil. It was the only way for them to save face as Christ had exposed them. History tends to repeat itself. The dragon will unite with the beast (Catholicism) and the false prophet (false Protestantism) to all work against the message from this discovery making it seem like a deception. Everyone’s fear will alarm. For long the devil have fooled this understanding on to them and told them that keeping God’s law was sinful or even a deception. Now they believe they had been almost fooled and the majority again chooses to believe the lie. The law from the old testament is seen as an attack on Christ. The seemingly heavenly sent messages will perhaps even claim that Jesus had given the Pope authority to change his law. That we should have listened to these leaders. 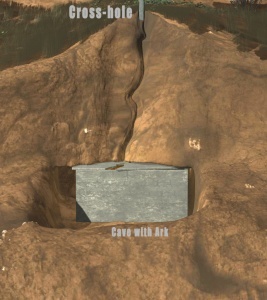 People will call the message from the cave on the mount for the works of Beelzebub and of demons. Because they have rejected God’s law they have no measuring rod to know deception from truth. (Pro.2,1-12, Isa.8,20) If they were true to God’s authority and law they would easily know who the serpent in the tree was and what message was from God. But they love not the truth. They want the lie to be the truth and these agencies of the devil are preferred over the ones giving God’s last warning and offer of salvation. Their anger is directed towards the people sharing these things. Finally, the devil pretends to be Christ. (Mat.24,5) He has prepared his own way. Now that he has convinced that the Antichrist spirit had been at works in the temple “cave” and the message from there that he claims were to fool people into the old covenant, “Christ can come”. And he pretends he is Christ. But in order for him to set up his true kingdom here on earth, he tells people that the resistance must be dealt with. (Rev.13,17) He explains that the changed law was from him and perhaps he will even say that the pope had authority from him to change it and that the little group of protesters are deceiving them and are just being rebellious. Not only those who continue to share it, but that the Antichrist is still present in that cave with the Ark and the other sanctuary items. The door of mercy has quietly been shut as man has chosen the lie over the truth. (Heb.10,26-30, 1.Jhn 5,8-9; 1.Tim.2,6) Once again the serpent in disguise has convinced man that they need not keep God’s law and that they will even have life and prosper when breaking it. They eat the fruit he offers. That good will come out of breaking it. And that bad things now will come over those respecting it. The plagues in the world is said to be the remnants fault. But the plagues fall on them and not on God’s people (Rev.16). The devil is convincing as Jesus, he reflects goodness and kindness. And the many Christians that believed the lie of lawlessness are greatly angered at not only those who preached obedience to God’s law as it’s written in the Bible, but to the mysticism around the cave in Jerusalem containing the sanctuary items. The more they have turned against God the more they hate the testimony inside this cave. People start to chase down God’s remnant people to defuse them and help the false Christ to establish His kingdom and the war of Armageddon is about to take place. The beasts, the false prophet and the dragon who tricked them, and the kings of the east, all storm against Gods throne in Jerusalem. Thinking if they overthrow it, get rid of the Antichrist they claim is represented there, Christ kingdom can begin. They want to help the false Christ, but in reality, they are attacking God’s throne on earth and His law and everything it stands for. They are battling against God. Before this events, God had already sent help to His people. Their angry enemies are slowed down and kept busy by the plagues sent over the earth. Now during the sixth plague, they all come up against Jerusalem. Armageddon is a name from the Hebrew words HAR and MEGGIDO which translates ‘the mountain of gathering’. The Mountain of Gathering was in the past Jerusalem, and it was tied to God’s temple. Now they attack God by attacking the Ark of the Covenant, God’s throne on earth with the blood of Christ on it. They also attack God by persecuting His faithful who keep God’s law and not the man-made one. But they cannot battle God. He intervenes in the events and stops them. The law is shown to the world yet again, the real law, the one written by the hand of God. Everyone now realizes they have been deceived and was fighting against God Himself. That they had stepped on Christ blood. 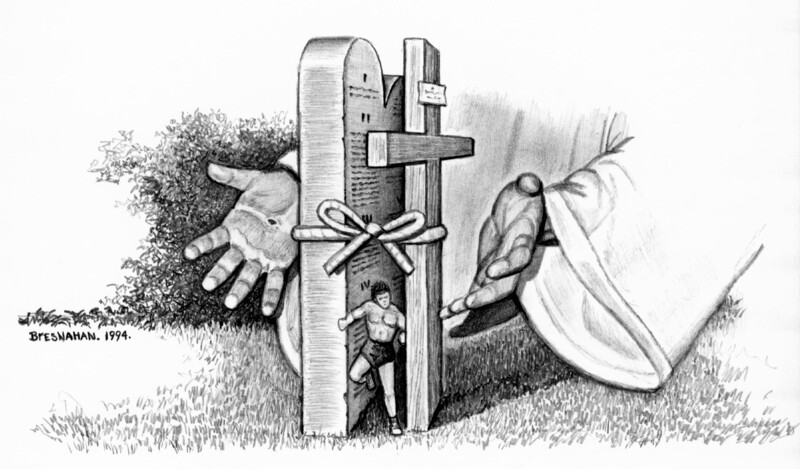 (Heb.10,29-31) When given an opportunity to step on God’s law they took it and did it. They followed the serpents lies and they had even been warned. Graves are opened. Christ is coming back to save His people, gather them and revenge His enemies. (1.Thess.4,13-18; Luke 21,27 & 23,30, Rev.20,10 & Rev 14,14-20) There is no division or separation. Christians going to heaven and Jews reigning on earth. There was only ever one way to be saved for all man, one, and one outcome. For those Jews that didn’t choose the truth, it’s now too late. But Jews are more likely to receive the truth in the discovery that many Christians as they have a better understanding of the purpose of God’s law. Most likely many Jews will be among those standing on God’s side in the end. Because of this false interpretation, many although attracted to the truth, will out of fear and indoctrination chose the devils side in the last conflict. This is why I am giving out this warning and letting you know where this plot came from and what is about to happen. There is only one thing that is important in the end time. To have the commandments of God and the faith of Jesus. (Rev.14,12) Those who are not part of this group will be part of the group that is deceived. The truth is very simple, it’s the lie that is complicated. The truth tells you to simply trust God, the Blood, and His law. The lie is a web of lies and interpretations and excuses not to do what God bids. The devil has used three beasts to work on his end time deception. The beast out of the bottomless pit, the beast out of the sea and the beast out of the earth all played their part. Now you have the opportunity to seek God today, to turn away from iniquity (to be without law, God’s law) and seek pardon for your transgression through the blood of Christ. The moment you do make this decision God will build a wall around you and protect you from being fooled by any of the Devils games and lies that will come in the end time. But the moment you do you will also become the Devils target. “And the dragon was wroth with the woman, and went to make war with the remnant of her seed, which keeps the commandments of God, and have the testimony of Jesus Christ.» (Rev 12:17) You will be the Devils target, but you will also be under God’s protection. 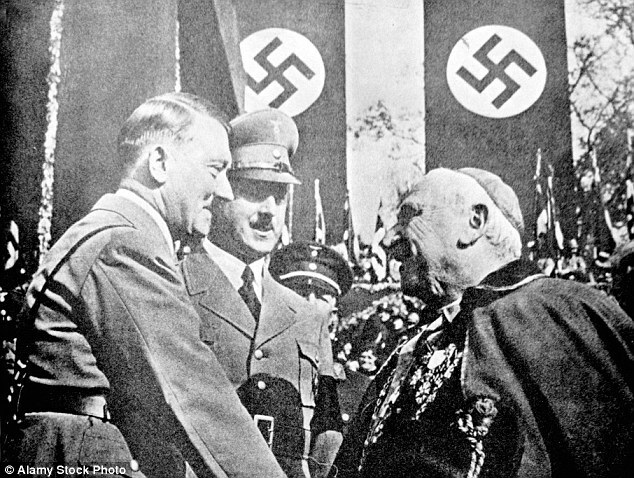 (3) “At a time when the heads of the major nations in the world faced the new Germany with cool reserve and considerable suspicion, the Catholic Church, the greatest moral power on earth, through the Concordat expressed its confidence in the new German government.” – Guenter Lewy, The Catholic Church and Nazi Germany. Hitler, Goebbels, Himmler and most members of the party’s “old guard” were Catholics”, wrote M. Frederic Hoffet……… On that subject, nothing is more instructive than Joseph Goebbel’s works. 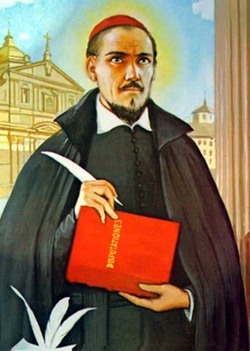 He had been brought up in a Jesuit college and was a seminarist before devoting himself to literature and politics… Every page, every line of his writings recall the teaching of his masters; so he stresses obedience… the contempt for truth… “Some lies are as useful as bread!” he proclaimed by virtue of a moral relativism extracted from Ignatius of Loyola’s writings…” Frederic Hoffet: “L’lmperialisme protestant” (Flammarion, Paris 1948, pp.172 ss). ← Was YESHUA the MESSIAH ? A word to Jews.